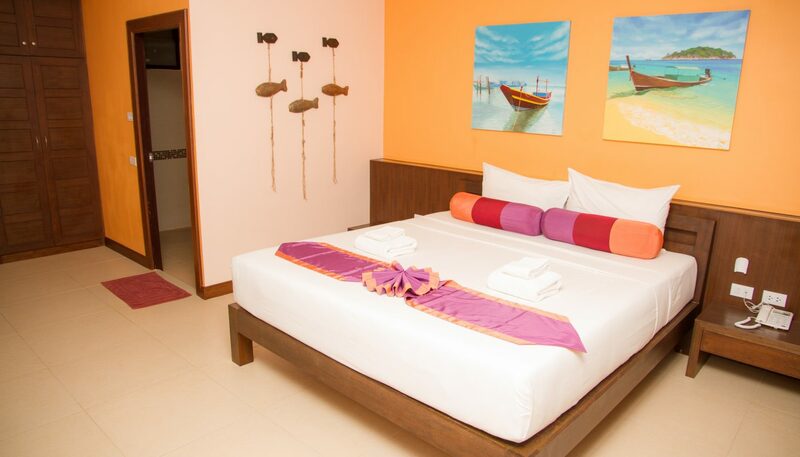 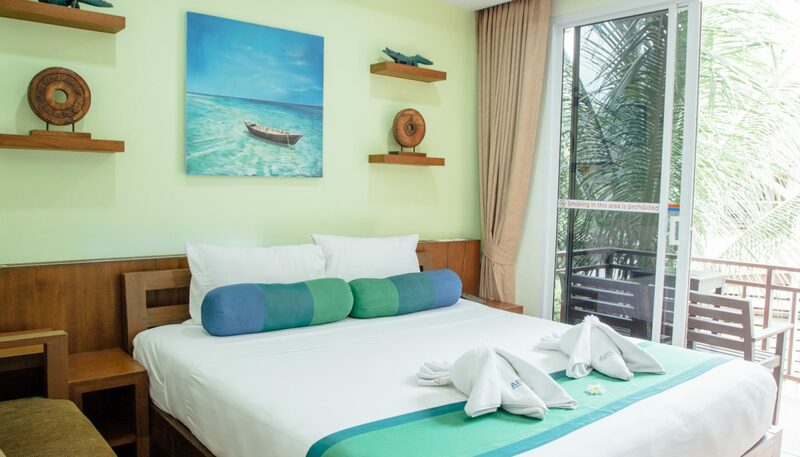 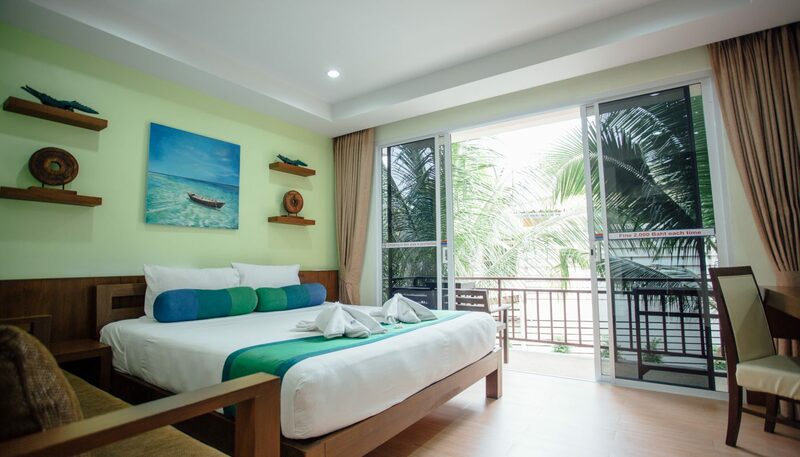 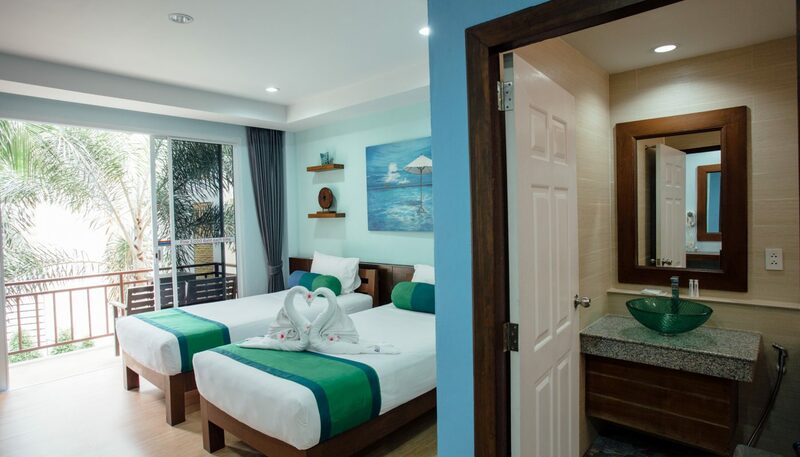 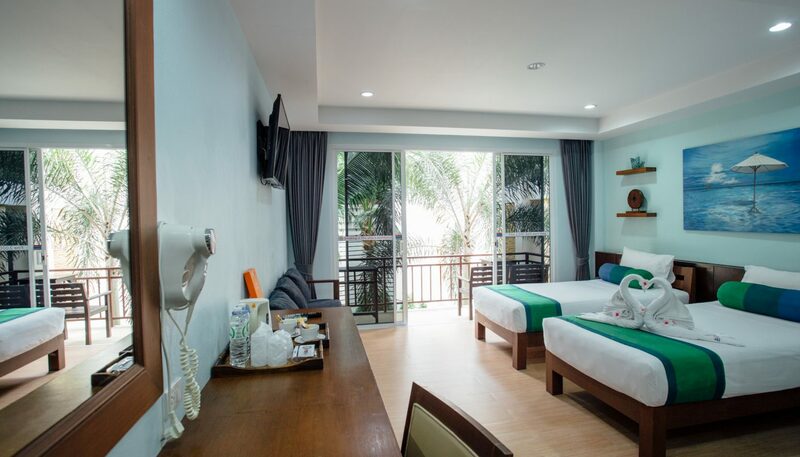 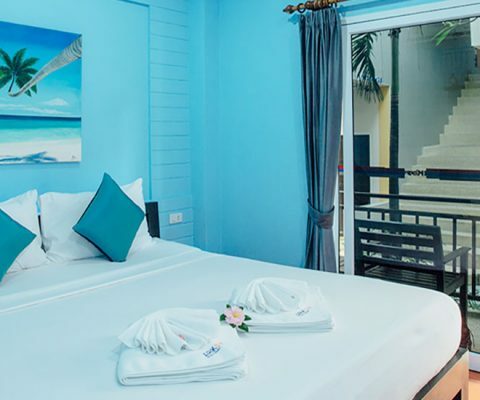 The large Premier Deluxe Rooms are ideal for romantic couples who enjoy spending time relaxing in privacy at this Chaweng Beach resort. 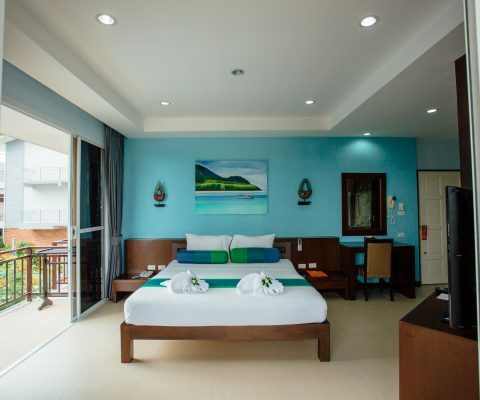 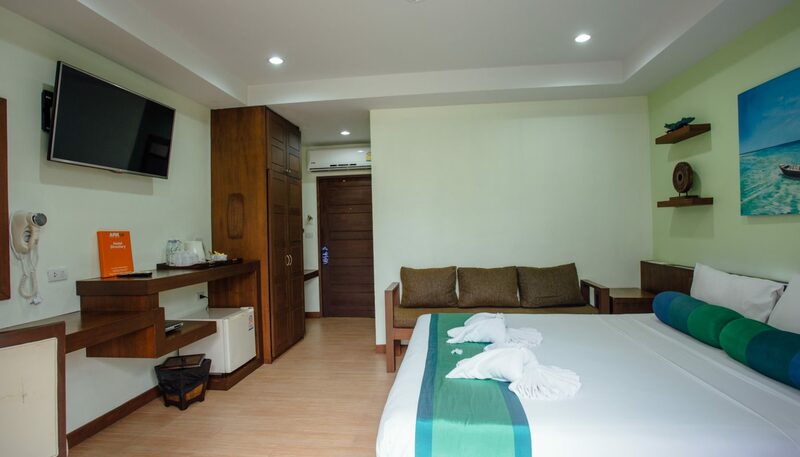 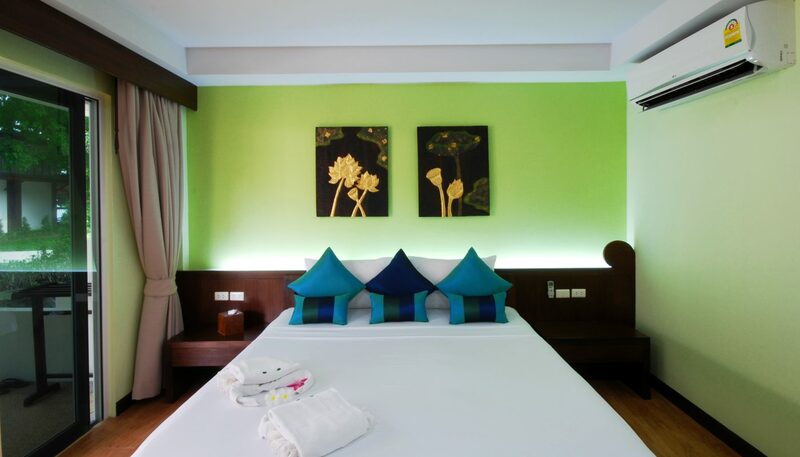 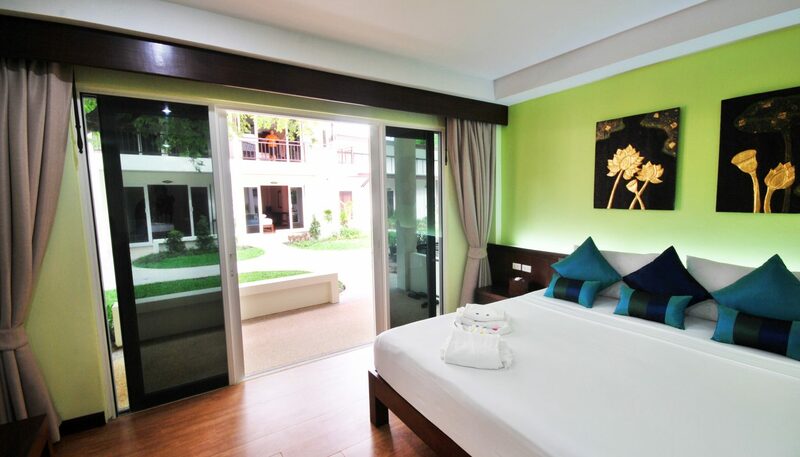 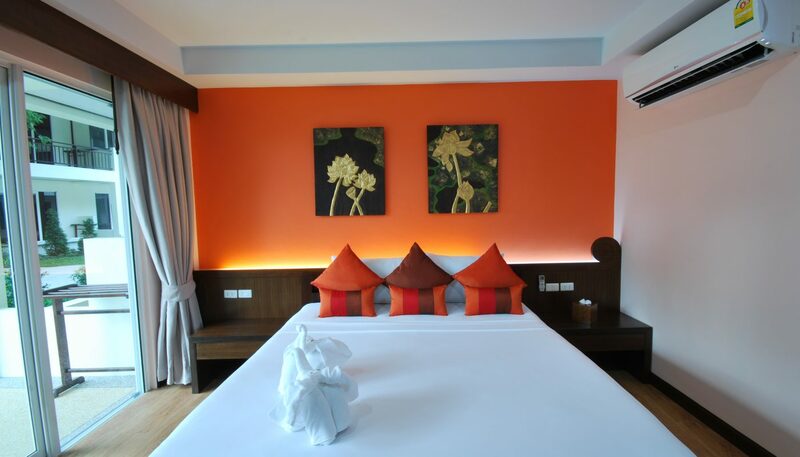 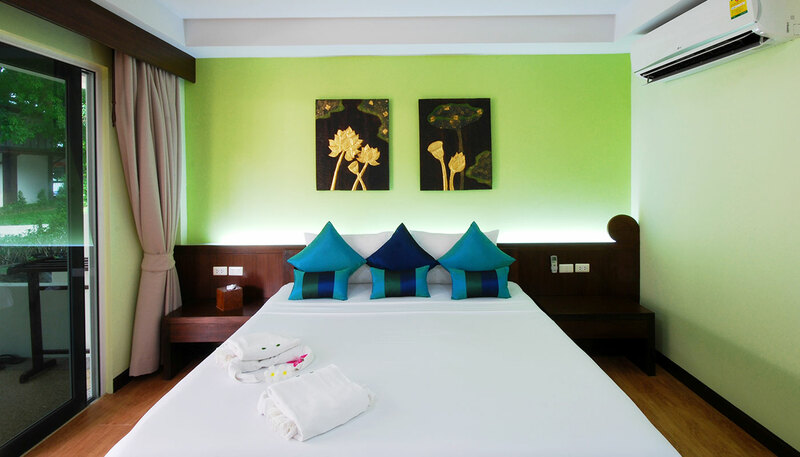 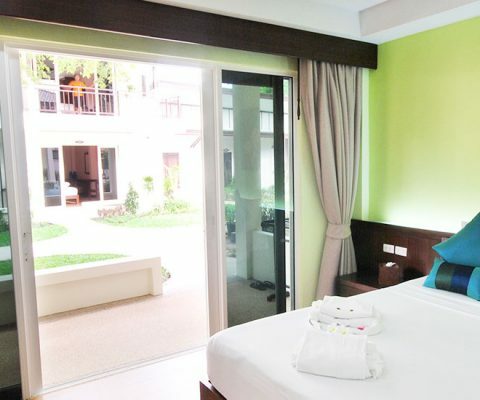 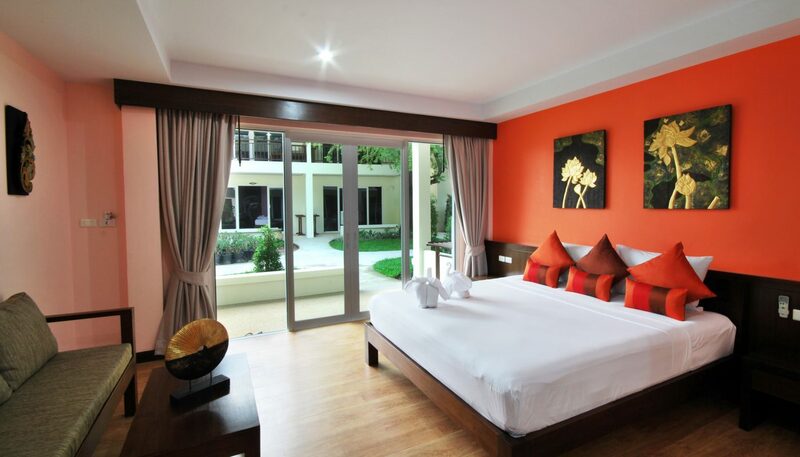 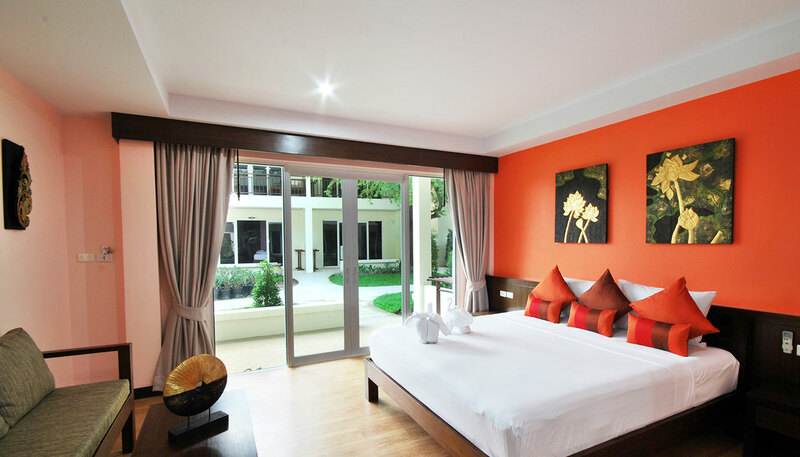 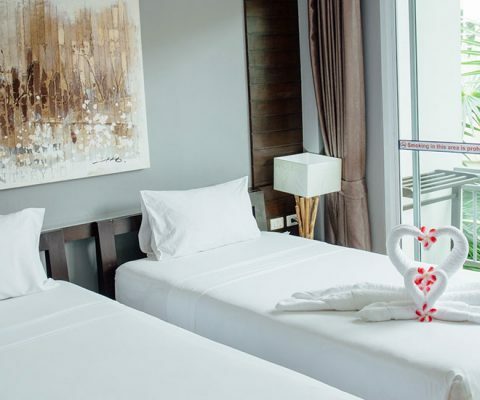 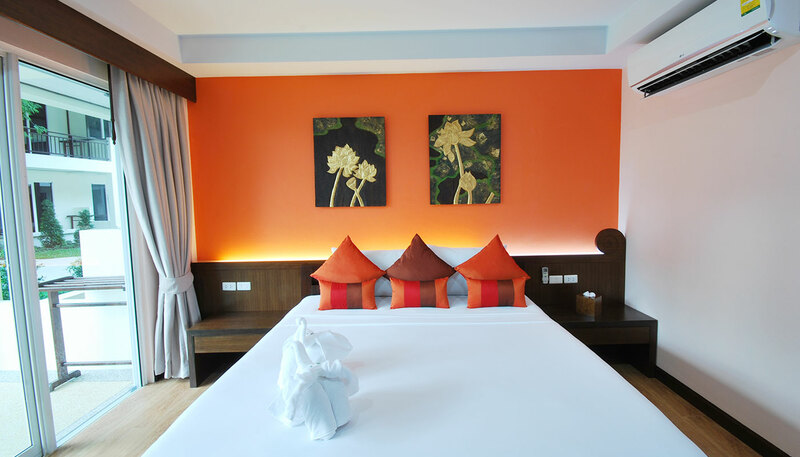 The contemporary Thai décor adds elegance to the room and there are several areas to lounge including the comfortable with twin single or a queen size bed, large sofa and furnished balcony overlooking the resort. 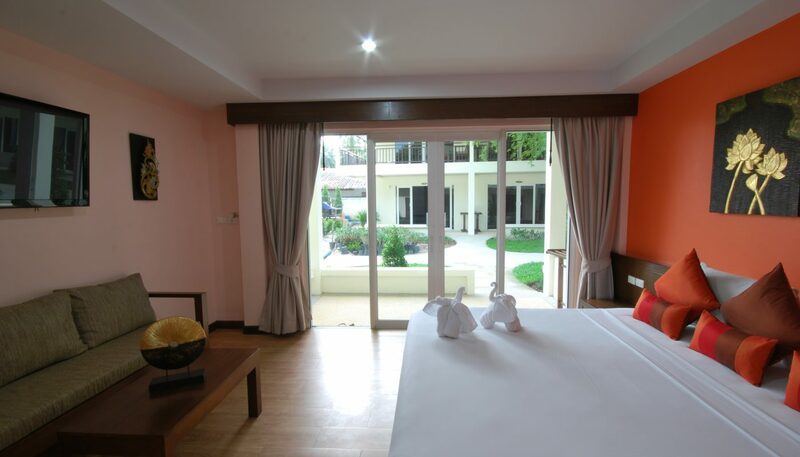 Refreshments include the snacks and chilled drinks in the well stocked mini-bar and hot tea and coffee. 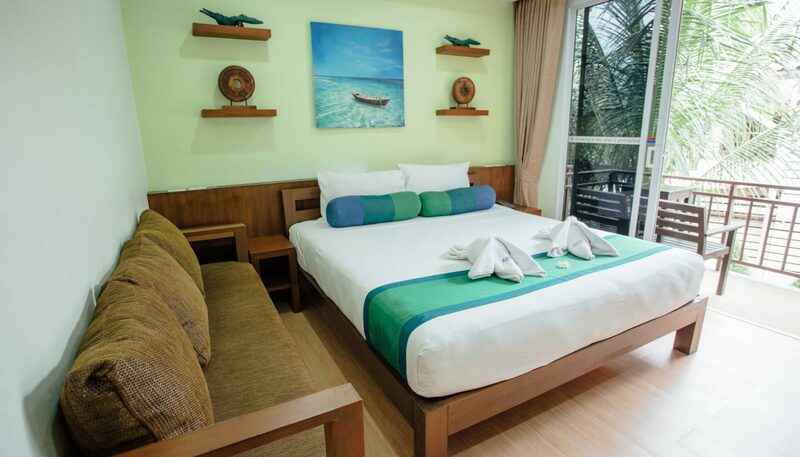 The large 42” screen television is perfect for viewing the latest movies on DVD or satellite TV. 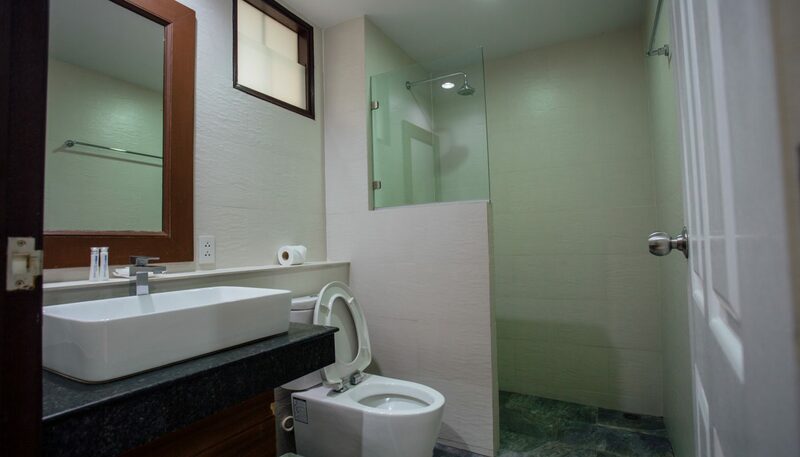 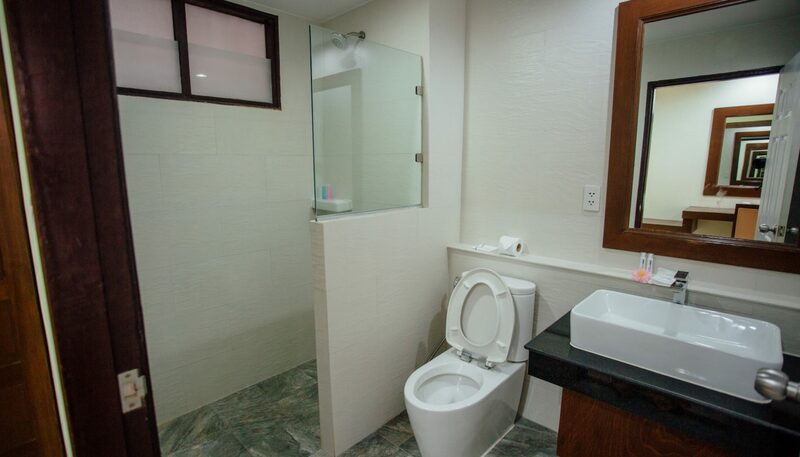 The modern en-suite bathroom features a hot water shower and bath amenities. 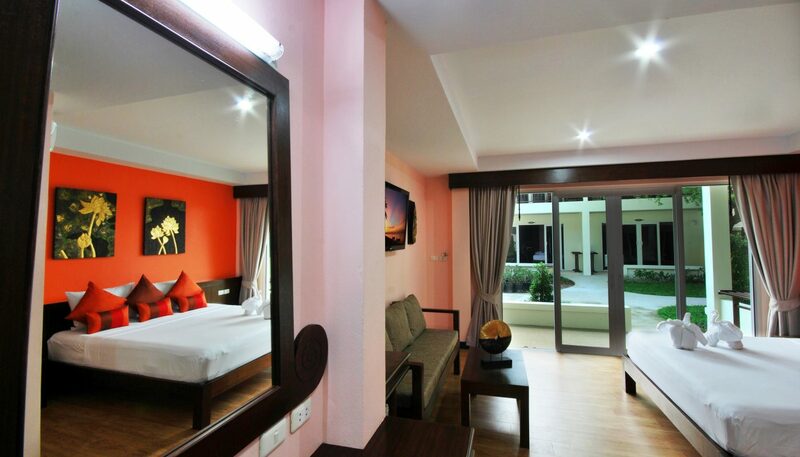 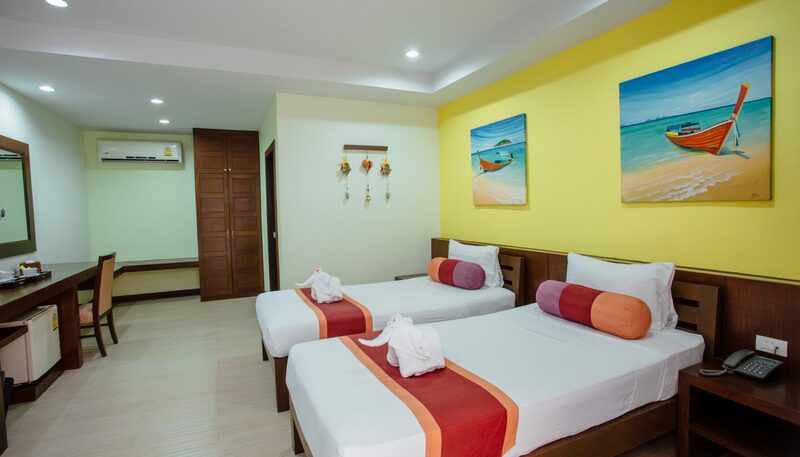 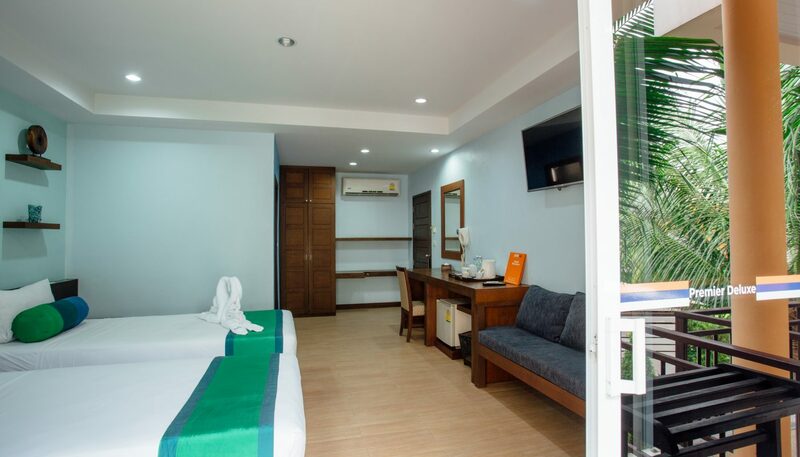 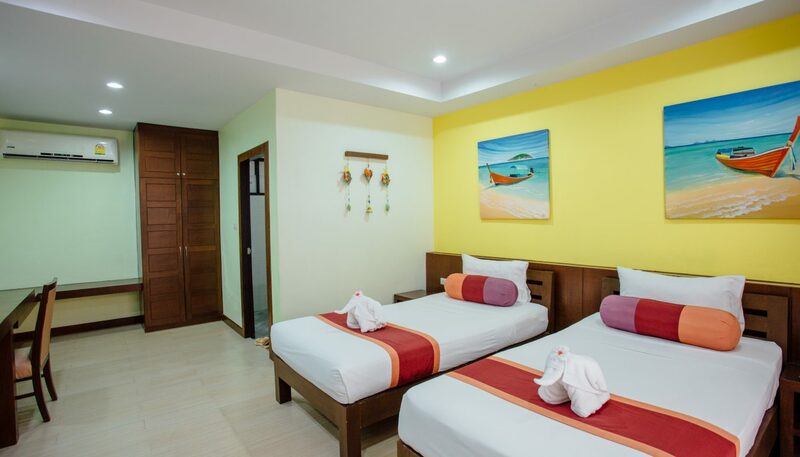 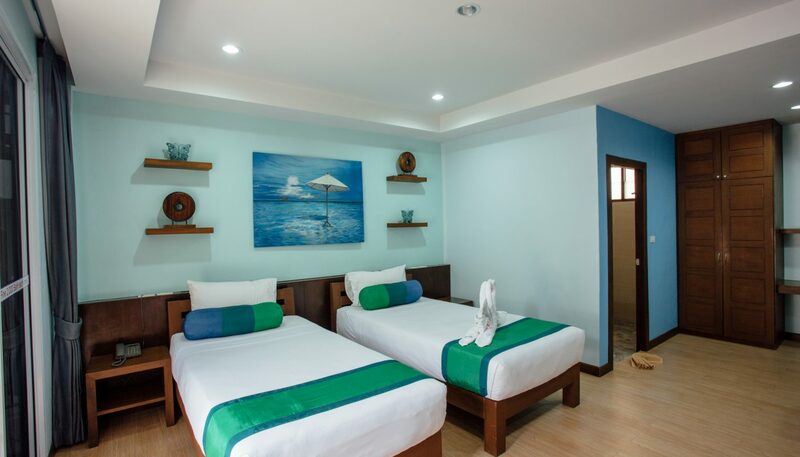 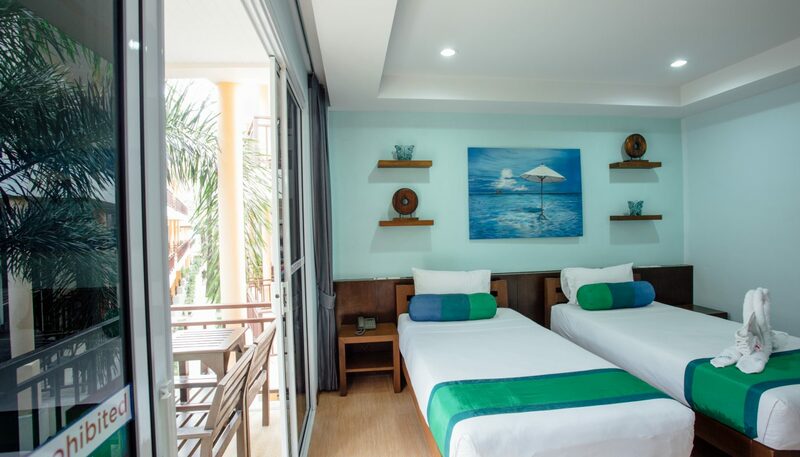 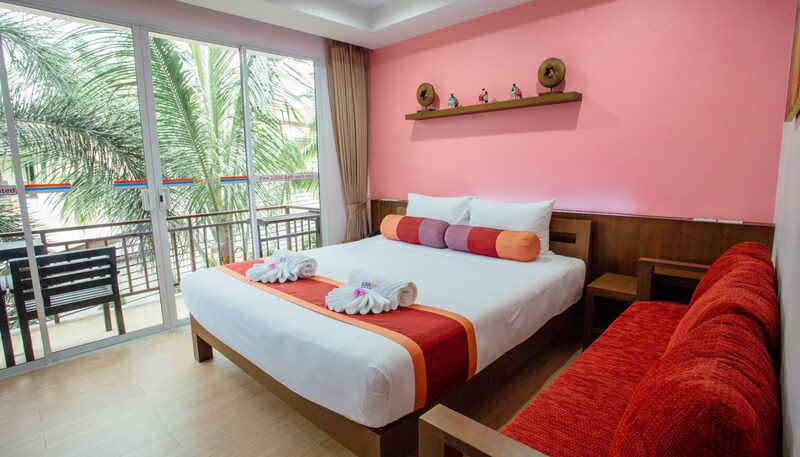 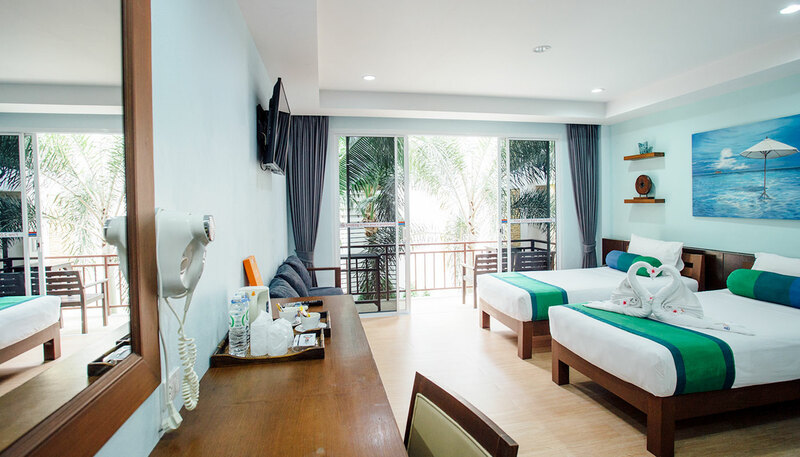 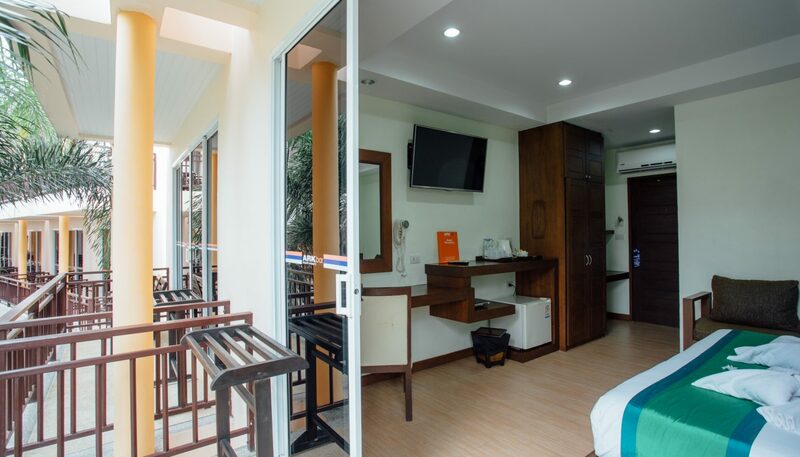 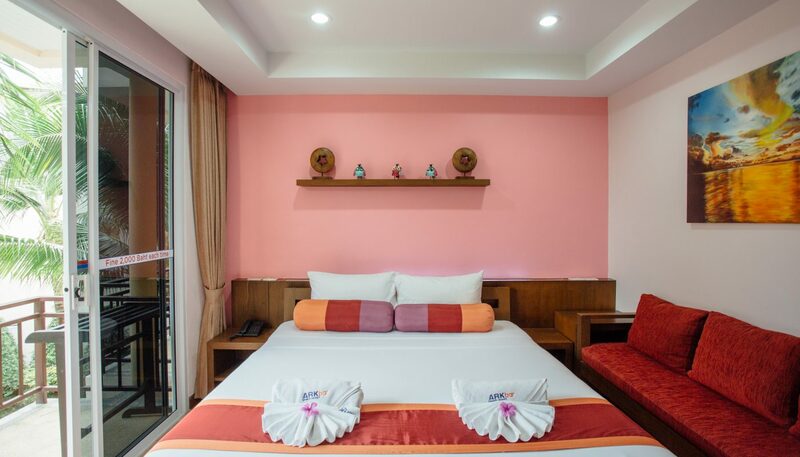 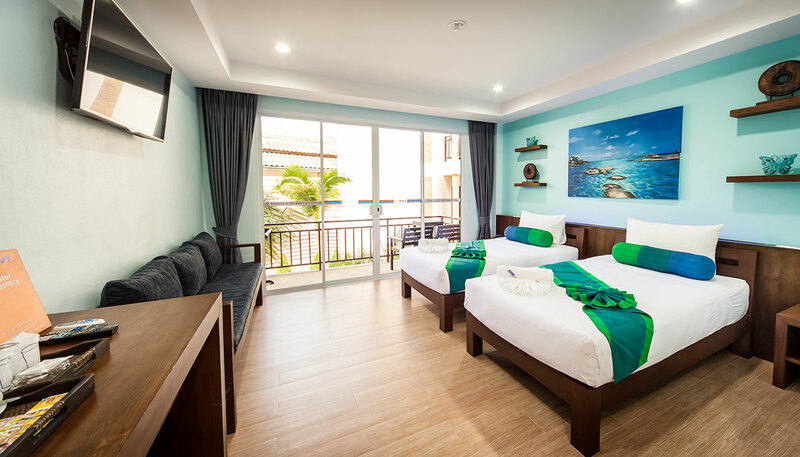 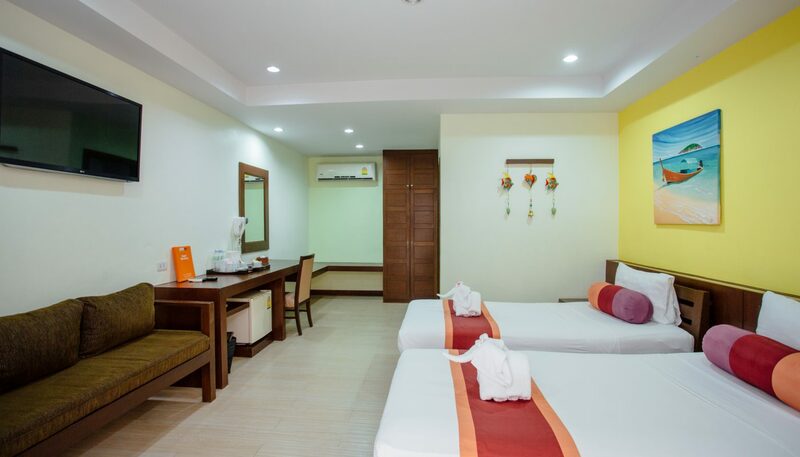 This room type is conveniently located only a short walk from the resort’s three swimming pools and two restaurants, and the main nightlife and shopping districts are just around the corner.